Keeping the integrity of your roof protected is a critical requirement of basic home repair and maintenance. Once you notice any warning sign that your roof needs repair, or worse, once a roof leak is discovered, you need to act immediately to protect your home. But trying to budget for roof repair can sometimes be a little challenging. Roof repair is not something homeowners have to deal with very often, fortunately. One very cool feature we found on HomeAdvisors.com is data on the cost to repair different roof problems and types of roofs. The costs ranged from $200 to $1,700 but within that range is some interesting and useful information. Flashing was improperly installed or cracked during inclement weather. Moisture caused a bitumen roof to develop leaks because of a bad or absent underlayment. Shingles blew away or broke, leaving an opening for moisture. Valleys are improperly sealed or cracked. Ice dams built up over the winter and created roof leakage. Clogged gutters needing cleaning and caused damage which led to leaks. The chimney’s step flashing failed created holes, allowing moisture to get through. When this happens, water will find its way into your attic and potentially into the ceiling or walls. You must address a leaky roof immediately. The cost to repair roof leaks depends on the extent of damage, but you’re looking at an average of $200 to $450. You will most commonly see this happen with asphalt shingle roofing, so always check after a storm or high winds. You don’t want to wait too long and end up with a lot of missing shingles. Be especially cautious with light types of shingle roofing, such as asphalt shingles. Tile or slate roofing might better withstand high winds, but they can also break. The process of repairing blow-off damage usually involves replacing the missing shingles, so you’re looking at $190 to $350, depending on the type of shingles you have. Blisters and splits become an issue when holes and significant cracks start forming in the shingles. This is when you need to address the problem. The cost to replace and repair shingle damage varies by the type of shingle you have. The average prices fall between $100 and $400, depending on the extent of the damage. Type of roof: Your roof type will definitely influence the total cost of the repair. Roofing materials will vary in cost by what kind of roof slope you have, and roofs with higher pitch usually cost more in labor and materials than those with a flat pitch. Permits: Some roofers have to obtain a permit before they perform repairs on a roof. Cost varies depending on where you live, but you may pay an additional $200 to $400 for a permit, depending on the roofer and local codes. Extent of damage: How much roof damage needs repair will determine the time, labor and materials for the project. 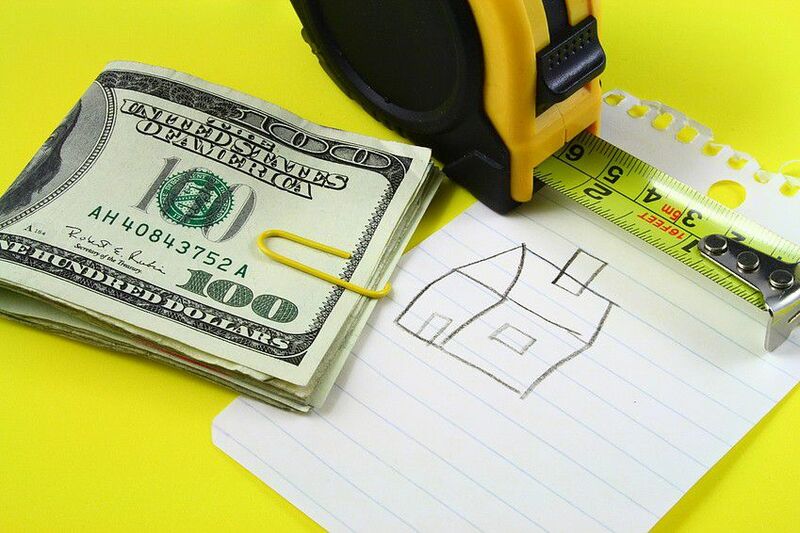 If you have a small repair, it’s not going to cost a lot more on the part of the roofer. If you have major damage, it will take a lot more time and labor, which will add to total costs. Usually, roofers charge by square footage, as that is the main measurement for roofing materials. They can also give you any leftover materials for smaller repairs down the road. Chimney and skylights: Unique pieces on top of your roof -- like chimneys and skylights -- could add to the cost of a roof repair. You might need to have them repaired or replaced at the same time, which will add to the price of the repair. This means more time, labor, and materials to add to the invoice. Think about adding an extra​ $200 to $500 to your budget, just in case these areas need some repairs. Water puddles in one area during a storm, causing the inadequate roof structure to bend and fail. A general rule for ponding water has it that standing water on a flat roof for 48 hours or more may cause damage. You need to have it removed immediately. You don’t want the integrity of the roofing deck permanently compromised. Usually, roofing professionals will need to drain the water off the flat roof. In the worst cases -- too much water or too flat of a roof -- more extensive measures will need to be taken. The cost to repair ponding water will most likely be between $300 to $500, depending on the square footage of water that needs to be removed. With shrinkage, you’ll need to repair and potentially replace portions of the roof substrate/deck to avoid major issues. EPDM repair costs can be anywhere between 10% to 30% of re-roofing costs, so you’re looking at $400 to $1,200 depending on how much of your roof is damaged and its material.